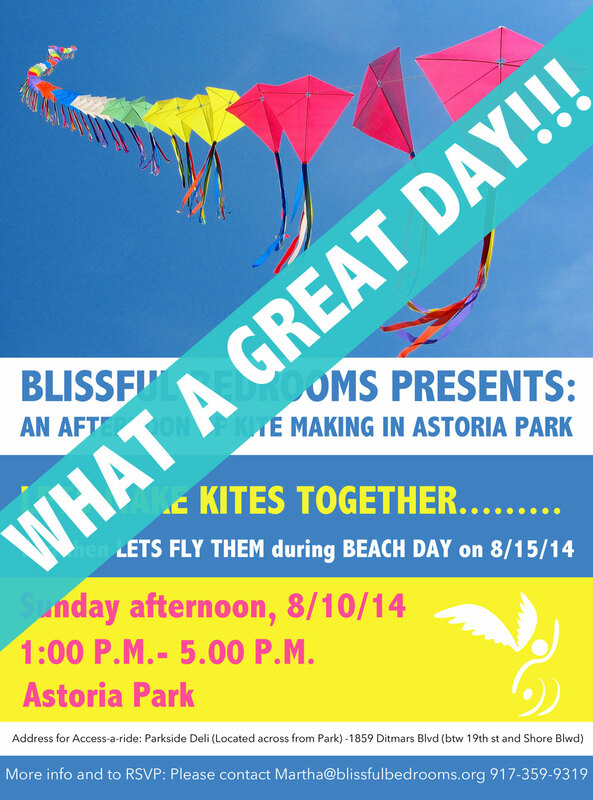 We had a great time decorating kites in Astoria Park yesterday and we cannot wait to fly them during Beach Day on 8/15/14! Special thanks to Matt and Danielle for leading the way to this special day. Matt, an avid kite enthusiast, along with his girlfriend, Danielle, came up with the idea to create this event for our Blissful Bedrooms friends and what a great idea it was! 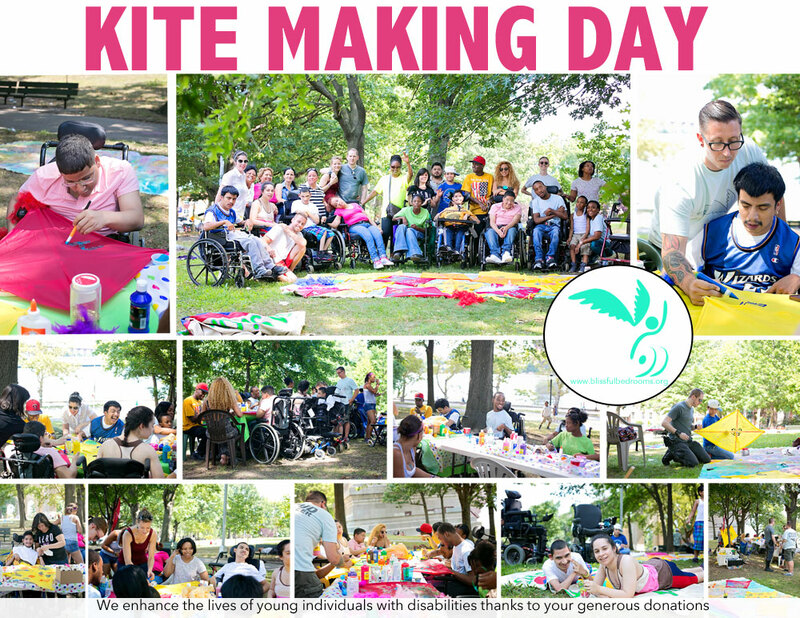 Matt actually produced each and every kite himself (20 kites), cutting the material from laundry bags, sewing them (!!!) and gluing them to sticks. He even took to the street one night prior to the event for quality control of his craftsmanship, running down the road with each and every kite to make sure they were flight worthy. The BB kids got to finish the assembly of each kite, adding tails and decorating them in their own personal style. Big thank you to ALL of the volunteers who came out to help and made it possible for this sweet group to have the opportunity to gather with their friends on a beautiful sunny day in the park and do something meaningful and stimulating. There are lots of photos from this wonderful day in an album on our Facebook Page, along with lots of other photo albums from past Blissful experiences. Now is a good time for you to LIKE our page so you can stay connected!